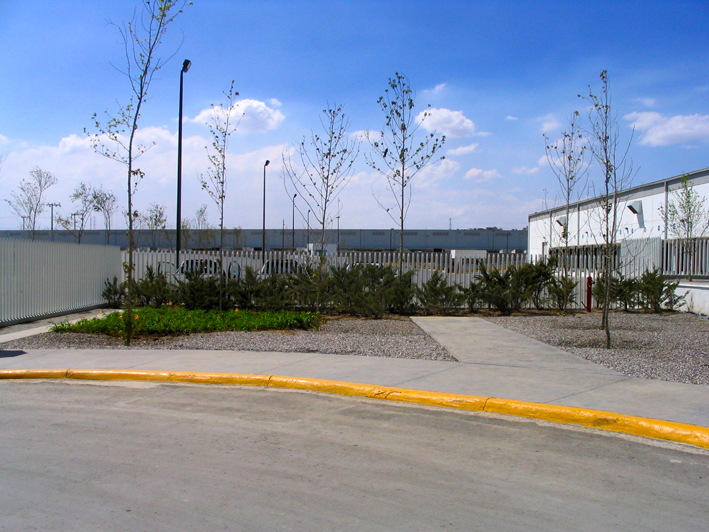 To landscape industrial areas does not mean gardening the entire space with rose bushes, grass or hedges. 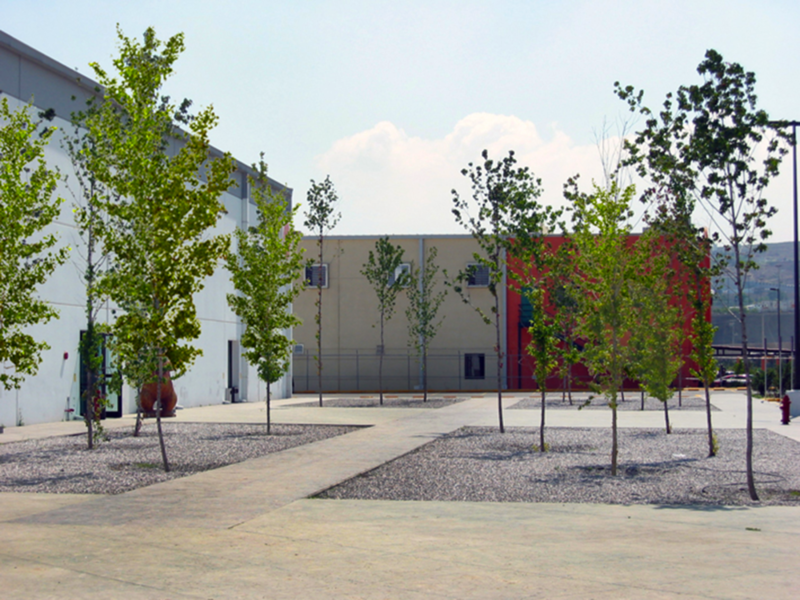 There are other methods of design where sets are created based on extensions of rocks mixed with gravel and vegetation groups, these must be low maintenance spaces, with grand gestures of vegetation and trees to occupy small spaces. The use of treatment plants for irrigation is an issue that is becoming imperative. 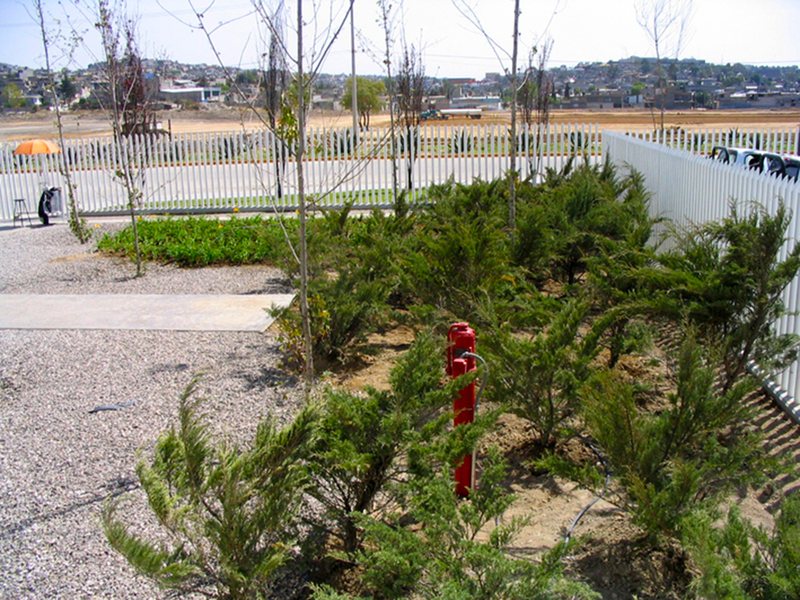 Part of the success of the green areas is the possibility of watering them. Se verdificó a base de extensiones de grava y rocas mezcladas con grupos de vegetación de bajo mantenimiento, con grandes gestos de vegetación y árboles que ocupen poco espacio. El uso de plantas de tratamiento para el riego es un tema que se está volviendo imperativo. Parte del éxito de las áreas verdes radica en la posibilidad de riego de las mismas.